Celebrate your graduate with For Your Party's personalized round stir sticks that are sure to please any crowd! 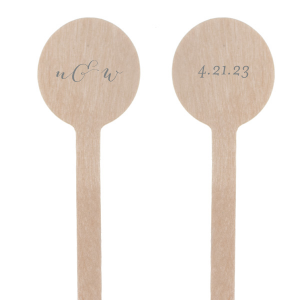 These charming round graduations themed stir sticks can be personalized on one side or on both sides, so get designing today. Congratulations to the graduate! What better way to celebrate than with a party? And what better way to step up your graduation party drinks than with personalized round stir sticks!? Round swizzle sticks are sure to make your graduation party drinks stand out. 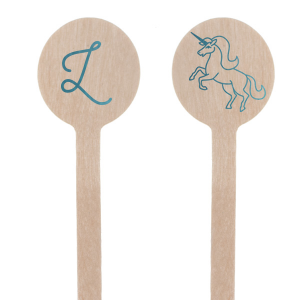 For Your Party offers a variety of stir stick shapes that come in a natural wood. Personalized round graduation stir sticks are just the thing to add an extra flare to your party! Use these round stir sticks to mix cocktail drinks or to create yummy fruit kabobs. 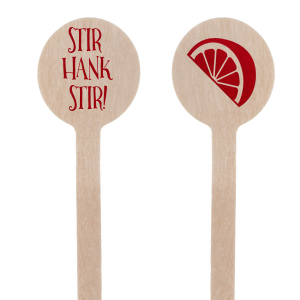 You can even use these custom swizzle sticks for graduation drinks that are kid-friendly. 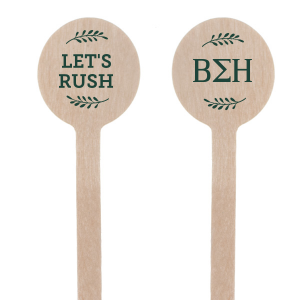 Available in a biodegradable natural wood with a wide selection of imprint colors, fonts and clip art to choose from, these personalized round graduation stir sticks will be a hit at your graduation party.